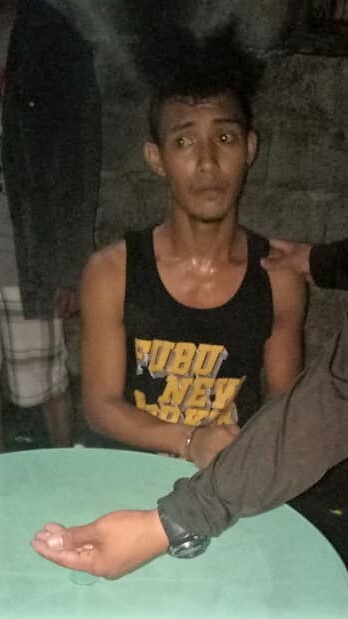 Tabaco City, [08.29.18] – A 20 years old suspected drug pusher was arrested by police on Tuesday evening in a police buy-bust operation in Purok 3, Barangay Sto. Cristo, Tabaco City. The suspect was identified as Sofronio Bañez y Broqueza, 20 years old alias Kulot of Purok 4, Barangay Bacolod, Tabaco City. The suspect was entrapped after selling a sachet of suspected methamphetamine hydrochloride worth PhP500.00 to police poseur buyer. The entrapment operation yielded two pieces of plastic heat-sealed sachet believed to be methamphetamine hydrochloride or shabu. Police operatives confiscated the following items from the possession of the suspect during the buy-bust: two pieces of plastic sachets of suspected shabu, a PhP500.00 bill used as buy-bust money, one piece PhP20.00 bill and one unit Smash Suzuki motorcycle. The arrested suspect is under police custody and a charge for violation of Article II, Section 11 of Republic Act 9165 or The Comprehensive Dangerous Drugs of 2002 will be filed aganst him.